The mouse pad ergonomics is highly important. Carpal tunnel syndrome is at the top list of the work diseases ! 18 % of the mouse pad Internet researches concern this topic ! Does the promotional mouse pad market suggest some solutions ? Some manufacturers suggest personalized mouse pad with cushions which make us think about rest… It explains the name mouse pad with wrist rests ! So, why don’t we find these types of mouse pad wrist rests? 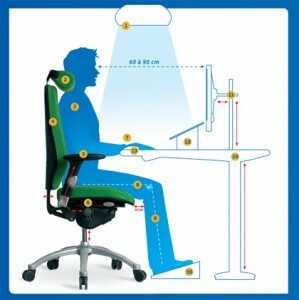 Why do we find other answers to ergonomics in the promotional mouse pad range of the most recognized and serious manufacturers like 3M, NOVA, RAZER ? Why don’t we find these models in the highly technique and famous mouse pad range meant for the gamers (the most demanding persons ! ) ? The mouse pads with wrist rests are born in 1995 after a European directive concerning ergonomic desks. At the same time and in the continuity, the mouse pad with wrist rests is born. Aware of the necessity to integrate a good ergonomics to its product, two studies have been financed to find real solutions and not only marketing solutions. It has been led by two independent specialized practitioners. •	The wrist is a joint between the arm and the hand. Keeping up the wrist exactly where it is articulated is a “mechanic” aberration. It doesn’t take charge of the arm and hand weight which both have to be kept up by the muscles. The arm and hand continue to hang : there’s no rest for the wrist! •	The worst point is that it’s especially underneath the wrist that goes the carpal canal. The hand’s veins are “supplied” by this way. • The carpal canal is a pipe within the tendons make a to and fro movement… To compress it by putting the wrist on something to lean on causes an irritating friction for the tendons on the canal. Veins are a pipe within the blood flows… If we compress it, we limit the blood flow in the hand (it causes coolness and pins and needles). The mouse pad with wrist rest do not remove the compression, it just distributes it better ! So, there is definitely not a worst solution than the mouse pad with wrist rest ! Unfortunately, they are very attractive visually and thanks to their name. They are offered by manufacturers more concerned by answering marketing requests to generate orders than a real solution to answer the clients’ expectations. Serious manufacturers like 3M, NOVA or RAZER don’t take this liberty. They prefer bringing true technical answers to give real and perceptible advantage to clients. •	Ideally, a good thing to lean on should be underneath the forearm: 1/3 of the elbow, 2/3 of the wrist which is the balance point of the entire arm, from the cervical to the hand! (I invite you to test it, you’ll feel immediately a real rest of all the arm muscles!). •	You also can do a lateral thing to lean on, where there are the bones. But caution, do not do this between the 2 of them where there is the carpal canal the blood flow. •	Finally, just content yourself with a thin mouse pad. The hand and the wrist are naturally put down in a flat way. No need to raise your hand which is a good thing because beside the tiredness of the effort, your carpal canal is reducing by outstretching. Moreover, your tendons are more irritated because of the friction. To answer to the 2 first recommendations, Nova has developed a new support adaptable to both underneath your wrist or your forearm. Unfortunately it has not been very successful, probably because it was too much original. Generally, all serious manufacturers have followed the last recommendation by doing extra thin promotional mouse pad. Nova advices to choose an extra thin promotional mouse pad, an ergonomic mouse fit to the inner part of your hand. Try to position it 30 cm far from the edge of your desk to make your forearm lean on the desk naturally. Like this, your hand and your forearm are lined up (best position for the tendons movements in the carpal canal) and the arm and shoulder muscles won’t have to bear the weight of your arm. – Carpal canal compression by the Ergonomic mouse pad with wrist rests . – Lateral support on the bones without carpal canal compression. – Best support for he the entire arm rest. – Ergonomic mouse adaptable to the hand angle.